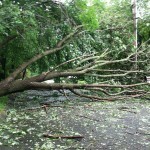 Four days post Hurricane Irene, and we are STILL without power. Worse, the estimated date for us to get power back is LAST in our town, aka Wednesday 9/7. Though we don’t have damage to our home, so really, I can’t complain. Much. To write this post, I am accessing the web using my amazing Verizon iPhone Personal Hotspot (best $20/month spend ever). 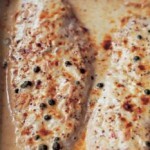 OK, so I’ll admit that adding a cream sauce to fish is not the most lo-co of plans. But there I was, under pressure. It’s tradition that I make a fish dish at our annual family reunion at Cape Cod (look how lo-co I’ve been: the other big family dinners are steak and lobster/ribs!) It’s a diverse crowd, and I needed a new fish dish that all would enjoy. What inspired me was the not-great weather (clearly it wasn’t cooking lo-co as I went with a cream sauce). As it was unusually cool, I decided to bake instead of grill the fish. Have you seen this ad? 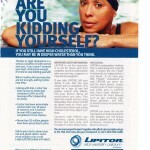 Lipitor – the world’s biggest-selling prescription drug (that’s right, not just world’s #1 cholesterol drug – the biggest Rx, period) – is running ads designed to scare people into believing they need Lipitor. When they don’t. Or at least they might not. What they are doing in this ad is brilliant from a marketing perspective (I’ve worked in consumer packaged goods marketing since 1990). They have absolutely NAILED the common fear among those with high cholesterol: should I treat it with an Rx or not? And it’s hard to get an answer to that.